Good news for you! GTPL is coming up with a new mobile video entertainment application on which you can watch live TV, live events from your city, a selection of videos in your language and much more! We request your participation in a short online survey which will help us in identifying relevant content to be carried on the App. It won't take more than five minutes of your time. Your responses will be kept strictly confidential. Please answer as honestly as possible. 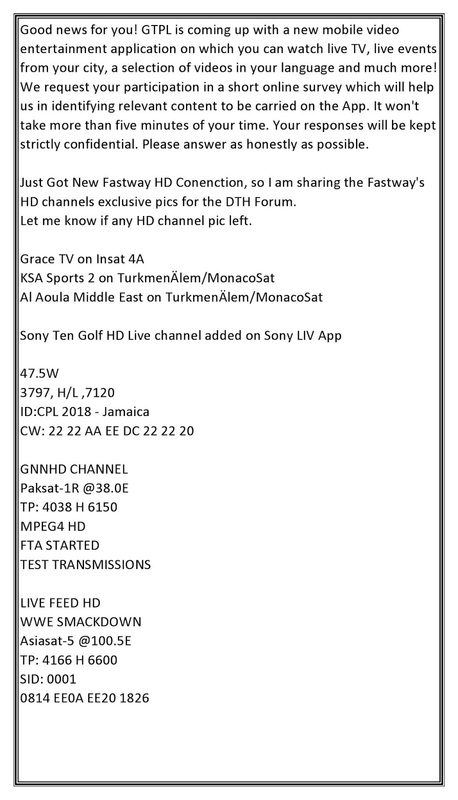 Just Got New Fastway HD Conenction, so I am sharing the Fastway's HD channels exclusive pics for the DTH Forum. Let me know if any HD channel pic left.